This is the third in a series of articles that explores the iconic CIA and its use as a tactical weapon by the US presidents of the Cold War (1947-1991). The Central Intelligence Agency – In the Beginning and The Central Intelligence Agency – Eisenhower and Asia’s Back Door are the preceding posts. A very tired John F. Kennedy, the 35th President of the United States, was sworn into office on a clear, windy, brutally cold January 20, 1961. (1) It wasn’t an easy day. Eight inches of snow had fallen the night before, causing a monumental traffic jam. The streets were littered with abandoned vehicles. Former President Herbert Hoover missed the entire inauguration event because Washington National Airport was closed due to the weather. An inauguration is an important national symbol that characterizes the Republic and the all-night effort to clear Pennsylvania Avenue greeted the sun with space to accommodate the large crowd that would gather to witness the duly elected president assume the helm of the ship-of-state. The snowfall of the previous night and the windy, frigid temperatures of inauguration day are also apt codes for the sea change that had already gathered momentum around the relationship between the new president and his intelligence agency, the CIA. The CIA, as authorized by The National Security Act of 1947, was still fairly young, but Allen Dulles, the Director of Central Intelligence (DCI) was an old hand and seemingly enjoyed the game. By 1961, the CIA, in its short life, had tripped the light fantastic around the globe; Col. Lansdale was merrily fighting rebels in The Philippines following which he ported his obsession with asymmetric guerilla warfare to Vietnam where he spent two-years as a houseguest and confidant of President Diem. Other CIA operatives overthrew governments in Iran and Guatemala, and raised general hell with Cuba and Chile. After fifty years the controversy surrounding Kennedy and the CIA obscures the landscape like the white-out conditions in a blizzard. At one end of the opinion spectrum, Marquette University’s John McAdams’ The Kennedy Assassination site concludes that Kennedy and the CIA had some rough spots but got through them. (4) At the other end of the spectrum is Dr. Jerome R. Corsi, who maintains that Kennedy and the CIA locked horns and never retreated. (5) Excellent research and the documented citations for both perspectives leave the reader with many questions. One corner of this argument does not appear to be disputed; Kennedy consistently refused to use the U.S. military to support private sector interests. In this matter, President Kennedy was a traditionalist. The military, in his opinion, was to be used only in defense of national security interests. If we can escape the white-out conditions of the never-ending controversy, the political landscape, once again, becomes hard and navigable. 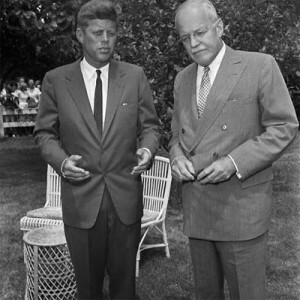 As Kennedy came to office, covert CIA actions initiated by the Eisenhower administration were in play in both hemispheres. Two noteworthy examples are the storm clouds that were gathering around the Diem brothers in South Vietnam and the vexing problem of Fidel Castro in Cuba. For discussion purposes I have separated these two significant events, but during the early days of the Kennedy administration they were unfolding concurrently linked through the CIA node. South Vietnam was a U.S. government construct, a nation-building exercise illuminated by the Pentagon Papers. Diem and his brother persisted in implementing domestic policies based on impressing the Catholic religion and requiring personal loyalties that accelerated the destabilization of the country. The prevailing religion in Vietnam was Buddhism at the time and the Diems were persecuting Buddhists terribly. Making matters worse were two notable supporters of the Diem’s, neither of whom had a clue about the national culture of Vietnam. Senate Majority Leader, Mike Mansfield, a Montana Democrat, lectured in Far Eastern and Latin American history in his previous life. Mansfield was also a practicing Catholic. While Mansfield openly admitted he knew nothing about Vietnam, he very much liked Diem and he was generally considered to be Congress’ resident Vietnam expert. The second big player who knew nothing about Vietnam was Col. Edward Lansdale, a CIA asset who befriended and used the Diems but was only committed to his concept of counterinsurgency warfare. The Pentagon Papers revealed that, based on Lansdale’s advice, Kennedy approved secret operations to "dispatch of agents to North Vietnam" to engage in "sabotage and light harassment”. The Diem brothers’ refusal to cease and desist acting on their paranoia, resulted in thousands of Buddhists and dissenters being imprisoned, tortured, and murdered. The Geneva Accords permitted the U.S. to have 685 military advisers in South Vietnam. Eisenhower sent several thousand and, under Kennedy, the figure rose to sixteen thousand with some of them taking part in combat operations. Diem was losing. Most of the South Vietnam countryside was now controlled by local villagers organized by the NLF. (See Footnote 6) It became clear that a new government was necessary if the U.S. was to be effective in keeping Vietnam out of Communist hands. Kennedy authorized the overthrow with the provision that the Diem brothers would be extracted to live in exile. Henry Cabot Lodge, Ambassador to South Vietnam, received a cable (Cable 243) outlining the issues and actions that were the next steps in changing regimes or bringing the Diem regime into line with American interests, following the midnight raids on the Buddhist Pagodas on August 21, 1963. (8) The Diem brothers would not or could not change direction and South Vietnam’s Diem government was overthrown in a military coup d'état according to play book. What did not go ‘according to plan’ was the murder of the Diem brothers whose desperate calls for rescue went unheeded by the U.S. government that had put them in power. The brutal assassinations of the Diems on November 2, 1963 haunted Kennedy. By November 22, 1963, less than three weeks later, Kennedy himself would die from an assassin’s bullet(s). “Kennedy learned of the deaths on the following morning when National Security Council staffer Michael Forrestal rushed into the cabinet room with a telegram reporting the Ngô brothers' alleged suicides. According to General Maxwell Taylor, "Kennedy leaped to his feet and rushed from the room with a look of shock and dismay on his face which I had never seen before." Kennedy had planned that Ngô Đình Diệm would be safely exiled and Arthur M. Schlesinger, Jr. recalled that the U.S. president was "somber and shaken". Kennedy later penned a memo, lamenting that the assassination was "particularly abhorrent" and blaming himself for approving Cable 243, which had authorised Lodge to explore coup options in the wake of Nhu's attacks on the Buddhist pagodas. Forrestal said that "It shook him personally ... bothered him as a moral and religious matter. It shook his confidence, I think, in the kind of advice he was getting about South Vietnam." When Kennedy was consoled by a friend who told him he need not feel sorry for the Ngô brothers on the grounds of despotism, Kennedy replied "No. They were in a difficult position. They did the best they could for their country." While the South Vietnam pot was coming to a boil in the Eastern Hemisphere, the Cuban kettle had boiled dry with the Bay of Pigs and was heating up a second time with Operation Mongoose in the Western Hemisphere. Without getting into the ‘why’ of it, presidential candidate John F. Kennedy left the door open to depose Cuba’s new dictator Fidel Castro during the fourth presidential debate. (9) The New York Times the next day ran the story as the lead item on the front page with the headline: "Kennedy Asks Aid for Cuban Rebels to Defeat Castro, Urges Support of Exiles and Fighters for Freedom." 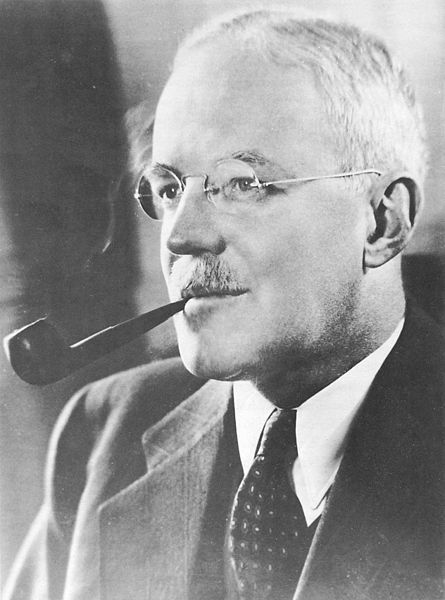 James Reston wrote in the Times that "Senator Kennedy (has) made what is probably his worst blunder of the campaign.”(10) After Kennedy was inaugurated, DCI Allen Dulles came calling to cash the Bay of Pigs check and Kennedy approved the invasion as had been planned under the Eisenhower administration except that he refused to commit the U.S. military support. George Washington University’s National Security Archives Bay of Pigs Chronology provides a wonderfully detailed account of the invasion and reads like a spy thriller. Prior to the invasion factories and cane fields were fire bombed using white phosphorus and other incendiaries, E. Howard Hunt and others made covert trips into Cuba to check the lay of the land, small aircraft overflew Cuba taking pictures and reporting back to the CIA (at least one was shot down by Castro’s forces), communication stations on remote islands were constructed in preparation for command and control of the prospective invasion, and exiled Cubans were trained. The exiles wanted to return home to the country they remembered and American business interests wanted the island playground back in their domain. The pressure was on to execute the invasion and, in April, about three months after Kennedy’s inauguration the green light was given. “On April 15, 1961, C.I.A. pilots knocked out part of Castro's air force, and were set to finish the job. At the last minute, on April 16, President Kennedy called off the air strikes, but the message did not reach the 1,511 commandos headed for the Bay of Pigs. Three days of fighting destroyed the invading force. A brigade commander sent his final messages: ''We are out of ammo and fighting on the beach. Please send help,'' and: ''In water. Out of ammo. Enemy closing in. Help must arrive in next hour. ''(11) The help never came and 1500 Cuban exiles fighters did not come back. To his credit, President Kennedy assumed full public responsibility for the debacle although he allowed the blame to spread through leaks and rumors. Kennedy fired Allen Dulles and threatened to break the CIA apart. The fiasco that was the Bay of Pigs, however, did not deter the effort to rid the Western Hemisphere of Castro. In November 1961, Operation Mongoose was born with a primary objective to identify mechanisms to get rid of the Cuban leader and the CIA was not the lead player. Robert Kennedy and General Maxwell Taylor were the operation’s overseers. Col. Edward Lansdale was recruited to coordinate activities between the CIA, Defense Department, and State Department. Operation Mongoose employed intelligence collection, sabotage operations, and identifying and recruiting leaders within Cuba who could overthrow Castro. But there were other methods used. With Lansdale’s obsession on asymmetrical warfare, a subset operation known as the Northwoods operation was developed. This considered using faked and real terrorist activities which could be blamed on Castro and used as a provocation for invasion. It has never been decisively determined whether or not assassination plots were a component of Operation Mongoose. (12) The Church Committee did, however, uncover a 1962 memo from Lansdale to Robert Kennedy claiming that "we might uncork the touchdown play independently of the institutional program we are spurring." Operation Mongoose was ‘officially’ ended in October 1962 with the advent of the Cuban Missile Crisis. The ‘official’ efforts to ‘get Castro’ fade from the presidential office in October 1962 and go deep underground. The next blip on the ‘get Castro’ radar appears in New Orleans in the rabid anti-Communist, anti-Castro corporate culture at the United Fruit Company upon whose trustee board the fired DCI Allen Dulles sat. The United Fruit Company story must be told at another time, however. President Kennedy’s fractured relationship with the CIA meant, for his term in office, a reduced CIA influence on foreign policy and affairs. Kennedy, however, did recognize the usefulness of covert operators and plausible deniability’s lack of presidential fingerprints. Publicly Kennedy was shamed twice by CIA failures and fired the powerful Allen Dulles. Did Kennedy really forget and forgive as some analysts portray or would his ego have driven him to keep his promise to break up the CIA? Certainly, Kennedy attempted to dilute the CIA influence during Operation Mongoose. Kennedy’s assassination ended all of the speculation of the CIA’s relative political standing as the status quo quickly returned under the Johnson administration. The Kennedy administration lasted just 1036 stormy days. His last day, like his first, was preceded by a storm in Dallas, Texas. As on Kennedy’s inauguration day, the storm cleared and Kennedy elected to have his convertible open to the people; the better to relate to the people. That, of course, worked well for the assassin(s). I find it interesting where the ubiquitous Allen Dulles shows up; on the United Fruit Company Board of Trustees and on the Warren Commission investigating the death of the man who fired him. The Diem brothers may have been assassinated but Fidel Castro, the object of so much time and effort, outlived them all. This article has been published as we approach the 50th anniversary of the assassination of John F Kennedy. We shall be posting about JFK on Twitter and Facebook this week. To find out more about John F Kennedy’s life, listen to our podcast on him. Click here. This is the second in a series of articles that explores the iconic CIA and its use as a tactical weapon by the presidents of the Cold War (1947-1991). The first of the series was The Central Intelligence Agency – In the Beginning. In the late 1940s, the CIA grew quickly as it acquired the political turf and added the expert staff required to keep the president informed on who was doing what to whom around the globe. The National Security Act of 1947 added covert operations coupled with ‘plausible deniability’ to the mix of collecting and analyzing data. Covert operations weaponized the agency. Now, not only could the CIA convert data into information, it could, at the behest of the president through the State Department, act on it with impunity; the CIA had become a tactical weapon. Presidential elections tend to return with grueling regularity in the U.S. and by 1952 it was time, once again, for Americans to choose a leader through the Electoral College. Truman, who announced he would not run again, took an historic step when he required the CIA to brief the presidential candidates so they would know what-in-the-world was happening. In Chapter 2 of the CIA Briefings of Presidential Candidates, 1952-1992, John L. Helgerson states, “Mindful of how useful the weekly briefings were to him, Truman determined that intelligence information should be provided to the candidates in the 1952 election as soon as they were selected. In the summer of 1952, the President raised this idea with Smith. He indicated he wanted the Agency to brief Gen. Dwight Eisenhower and Governor Adlai Stevenson, remarking at the time, "There were so many things I did not know when I became President." Smith suggested to Truman that Davidson might be the proper individual to brief both Eisenhower and Stevenson to ensure they were receiving the same information.” It was an unprecedented step based on Truman’s early experience in office and the beginning of a tradition that is still respected. DCI General Walter Bedell "Beetle" Smith had served as now ‘presidential candidate’ Eisenhower’s chief of staff at Allied Forces Headquarters. Smith tried, and failed, to delegate the briefings to Meredith Davidson, a senior staff officer. It must have been a monumentally awkward situation for Smith as he served his new master and his old master. The record indicates that Eisenhower was not above playing his past relationship with Smith and did not make Smith’s job easy. Just before Eisenhower’s November election Smith resigned from active duty status and later took a lesser position in the State Department. Eisenhower was a popular candidate and his war hero status effectively tied the opposition’s hands. Adlai E. Stevenson, Eisenhower’s opponent, was at a distinct disadvantage. The planks in Eisenhower’s platform included exiting Korea and getting rid of government corruption, which was a big deal with the bribery incidents that were uncovered among the Truman appointees. The 1952 election was odd even by U.S. standards where election time is referred to as the silly season. In retrospect, Eisenhower failed to achieve either objective and, during his administration, the U.S. stuck its nose deeply into other countries’ business through CIA actions. A banker and corporate lawyer between public service assignments, Dulles was connected to a power network that ran in the family. His brother, John Foster Dulles, served as Eisenhower’s Secretary of State during this same period. It was a cozy arrangement given that covert operations went through the State Department. In reading the documents, no one seemed particularly concerned with the potential for abuse or the loss of checks and balances with this banking family’s arrangement. Perhaps, and this is pure speculation, the arrangement even provided cover for plausible deniability. Under Eisenhower, CIA covert operations meddled early and often in Southeast Asia as the U.S. marched inexorably forward into what became the Vietnam War and the sacrifice of over 58,000 American lives. The Vietnam stage was already set when Eisenhower took his presidential oath in January 1953. The U.S. was picking up about 75 percent of France’s military cost in Indochina (North and South Vietnam), a result of decisions made during the Truman administration. The record indicates that Eisenhower did not particularly care for the French effort to recolonize Indochina after WWII but was politically stuck with them. The spark of war ignited a fire at Dien Bien Phu, in northern Vietnam near the Laotian border. Like two pieces of flint being struck against each other, sparks flew when Giap, with the Viet Minh, vowed to wipe out French forces and the French were equally determined to wipe out the Communists. The problem was that while General Vo Nguyen Giap was an acknowledged and experienced military genius, the French decision to lure him into a trap was fatally flawed. Dien Bien Phu fell on May 7, 1954 and the French beat their feet to get out of the area. The next day, May 8, 1954, planning for a Geneva conference of the main Indochina actors was initiated. By June of 1954, France granted southern Vietnam independence. In July 1954, the Geneva conference was convened. The major players were the US, France, Britain, and the Soviet Union, while the three Associated States of Indochina, including Hồ Chí Minh 's Democratic Republic of Vietnam, were also at the table. Vietnam was partitioned into north and south at the 17th parallel. This was an interim solution pending the outcome of the 1956 Vietnamese elections, which never came. The U.S agreed to the Geneva accords but, not liking the partition, never signed the agreement. By September 1954, the US and seven other nations signed the Manila Pact; the basis of the Southeast Asia Treaty Organization and the rationale for the U.S’s Vietnam War. While the U.S. military was busy helping the French, what was the CIA doing? Elections? Did somebody say elections in Vietnam? Elections are right up the CIA’s alley and the CIA boys and girls were very busy bees according to declassified documents released about four years ago. South Vietnam’s new Prime Minister, Ngo Dinh Diem, was a puppet who had played no role in the war or in the negotiations that ended it. Diem’s credentials were his fluent English, his anti-Communist nationalist position, and his religion, Roman Catholic. Diem was putty in the CIA’s hands. During this period, the CIA considered itself a nation builder. It drank from the goblet of power filled by placing the Shah of Iran on a throne in 1953 and sponsored a successful military coup against the leftist government in Guatemala in March 1954. In Europe, the CIA supported the Christian Democrats in the 1948 Italian elections ensuring the survival of ‘democratic government’ there. The also CIA participated in the 1954 defeat of the Hukbalahaps or Huk Rebellion, who were labeled as Communists, in the Philippines during Ramon Magsaysay’s regime. Drunk on the wine from these victories, the CIA entered Vietnam certain of another success. Unfortunately, they did not understand the Vietnamese people, their culture or their history. Diem was inaugurated in July 1954. He won the presidency by dubious means and the CIA knew he did not have the support of the people. Toward that end they had been grooming his brother, Ngo Dinh Nhu, for several years. By that time, the CIA had been busy in Vietnam for four years. The Agency first reestablished the covert action section in the Saigon Station, which had its plug pulled when the French found out about its activities in Hanoi. Secondly, Colonel Edward Lansdale of the USAF, renowned for his work as "kingmaker" in the Philippines, was to find a Vietnamese equivalent of Ramon Magsaysay. Lansdale’s assignment was approved about the time that Harwood arrived in Saigon. Colonel Lansdale followed him in June, assigned to the Embassy as Assistant Air Attache. Paul Harwood was the CIA’s Saigon Chief of Covert Operations and very good friends with Ngo Dinh Nhu. And Diem soon became quite the dictator. By the time his administration was drop-kicked and Diem was assassinated during the Kennedy administration, Diem had killed thousands and extended his hatred of Communists to include political and religious dissidents, such as Buddhists, and anti-corruption whistleblowers. The CIA in Vietnam, spearheaded by Lansdale and Harwood, failed both in providing accurate information and in nation-building. When Diem was overthrown and assassinated, Hồ Chí Minh reportedly stated: “I can scarcely believe the Americans would be so stupid.” But stupid we were. In 1963, Lyndon B. Johnson dropped the pretext of plausible deniability when he admitted to the murder of President Ngo Dinh Diem. The U.S. had its CIA nose under the Vietnamese tent for twenty-five years before it finally accepted it had lost. Vietnam was a political war, not a military war, and it cost millions of lives, including tens of thousands in the U.S. military services, trillions of dollars and the loss of the American ‘good guy’ innocence. Instead of opening trade and freeing markets following WWII, the U.S. pulled in, went underground, and embarked on an imperialistic march through the back alleys of the world. Where trade was allowed to flourish, countries recovered and thrived after WWII; Japan, Hong, Kong, Singapore, and Taiwan come to mind. Those early CIA victories in Iran, Guatemala, and Italy did not lead to long-term stability or democracy. The Philippines did better, although it appears we slew the wrong dragon there. The Dulles dynasty in the CIA and State Department was weighted by numerous disasters offset with very few victories. Perhaps bankers look at the balance sheet from a different perspective. In the end, it is the President of the United Sates, Eisenhower in this case, who must take responsibility for the CIA; it was his baby and his choices. For the years I served the government as a member of the contractor community, my least favorite agency to do business with was the CIA followed quickly by the DEA. While I wrestle the bias to the ground most of the time, it still manages to creep into my writing on occasion. We, each of us, had a job to do for the United States government and most of us took that responsibility very seriously. Our oaths were pretty much the same and have no expiration date; to uphold and protect the U.S. Constitution. How we go about doing that, however, is very different. To find out more about the Vietnam War, why not listen to our audio podcast on that war? Click here. The term "Viet Minh" is an abbreviation for VietNam Doc Lap Dong Minh-the Vietnam Independence League-the national front created by Ho Chi Minh in 1941 to resist the Japanese occupation and the Vichy French colonial regime that collaborated with it. South Vietnam as a separate, provisional entity came into existence as a result of the Geneva Accords. The other two Associated States, which together with Vietnam made up French Indochina, were Cambodia and Laos. Under the terms of the ceasefire, the Democratic Republic of Vietnam (DRV) was to take control of all Vietnamese territory north of the 17th parallel, while the French Expeditionary retired to the south.